Zach grew up in Bemidji and is now raising his young family in the Bemidji area. 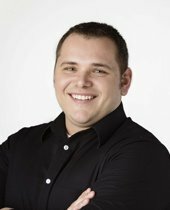 Zach has a passion for helping others in buying and selling their homes in this great area we call Bemidji. With his sales experience, diligence, communication skills, and knowledge of the entire Bemidji area, he can help you with your next move. Give Zach a call directly or just click to email him. "Zach was great to work with! He was very helpful and always answered all of our questions. He made our first time home buying experience very positive ... more "
"Zach helped us find the perfect home! He is very professional and has a thorough knowledge of all aspects of the home buying process. He is always ... more "
"Zach was always available. We twice asked him to tour the properities on Sundays. He never hesitated and was available as long as we needed him for ... more "